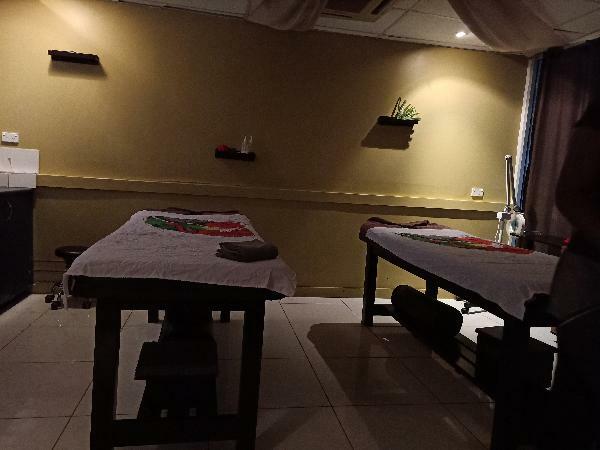 Located just 5 minutes from Nadi airport, Essence of Fiji Rejuvenation Centre is your ultimate destination for relaxation & rejuvination whilst in Transit. Start off your blissful treatment with a Fijian spa foot ritual and glass of bubbles. This treatment is targeted to revive tired feet and invigorate the senses with infusions of lemon, lime and peppermint. Next you’ll enjoy an indulgent 1 hour therapeutic body massage from one of our expert massage therapists. Using traditional coconut oil infused with a blend of heavenly essential oils, you’ll be relaxed in both body, mind and spirit. This world class Transit Lounge is the ideal location to relax & unwind with ease, pre/post flights & hotel check-in. Please Note: hotel pick-ups/drop-offs; DENARAU / NADI only. One way hotel transfer only. (additional charges apply for hotels outside of these area’s) To Arrange your free airport pick up please call number on your booking confirmation email. Excellent relaxing massage,our third visit and not our last. We enjoyed the time. Good relax. After finishing our treatment I asked about bus schedule to get back home by public transportation but they gave me wrong info and wanted me to use their drop off service which was 15FJD. Actually I could have used their service but I didn't because they lied me... I say again, Spa itself was nice and good. Bula Elly, Thank you for your review. Great to hear you enjoyed your spa services. Its unfortunate to hear about the transportation issue. I will bring this up in our next team briefing. I do know that our team were confused when the government first launched its E-ticketing system, as everyone was told you cant travel on the bus unless you register. It came out later that they do have disposable E-ticketing cards for sale on the bus. I thank you for your feedback. Your message has been sent to Essence of Fiji - Couples Package With Bubbles. You should hear from them shortly. Please note: all responses will come directly from Essence of Fiji - Couples Package With Bubbles, and not the team at Bookme.